From Virginia Pearce we read the following about 'Easter', the Sacrament, and the Road to Emmaus. This would be a wonderful thing to share with your families and children. Read full article with illustrations and presentation ideas here. "On the third day after Jesus was crucified, two of his disciples were walking from Jerusalem to a nearby village called Emmaus. 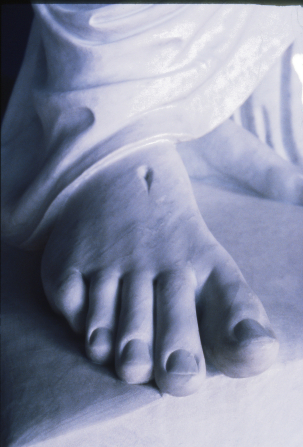 (See Luke 24:13–32.) As they walked, they talked about Jesus and about how he had been taken by the Roman soldiers. They talked about how he had been crucified by the Romans and then tenderly placed in the sepulchre, or burying place, by his friends. 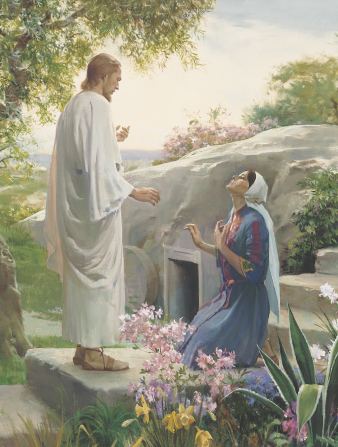 They were confused because Mary Magdalene and some other women had told the disciples that the stone had been rolled away from the sepulchre, which was guarded by soldiers, and that Jesus’ body was gone. "As they walked, another traveler joined them. He asked them what they were talking about and why they were so sad. One of the disciples, Cleopas, couldn’t believe that the traveler had not heard about the crucifixion of Jesus. Cleopas told the traveler that the women had gone to the sepulchre and found it empty. "Then the traveler began to talk. He reminded them of all the scriptures that prophesied that a Savior would come, teach people how to live, then die and rise from the dead, or be resurrected, so that all people could live again. As evening approached, the men neared the village of Emmaus. 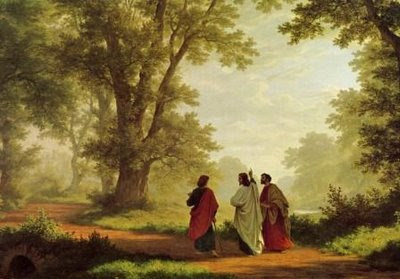 The two disciples asked the traveler to spend the night with them. He agreed. As they ate together, the two disciples realized that the traveler was the resurrected Jesus. 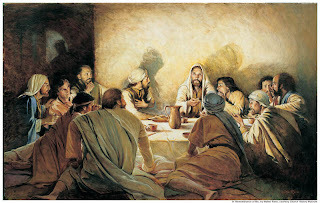 He had been teaching them that he had risen from the dead, just as the scriptures said he would. As soon as they understood this, he vanished from their sight. “And they said one to another, Did not our heart burn within us, while he talked with us by the way, and while he opened to us the scriptures?” (Luke 24:32). "Cleopas and his friend had reverent feelings when they remembered Jesus Christ and what he had taught them during that day. 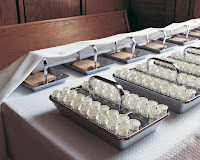 "Just as his disciples of old felt reverent when they were with him, we will feel reverent when we remember Jesus Christ during the sacrament. In the sacrament prayers, we are told that if we will always remember Jesus Christ and keep his commandments, we will have his spirit with us. 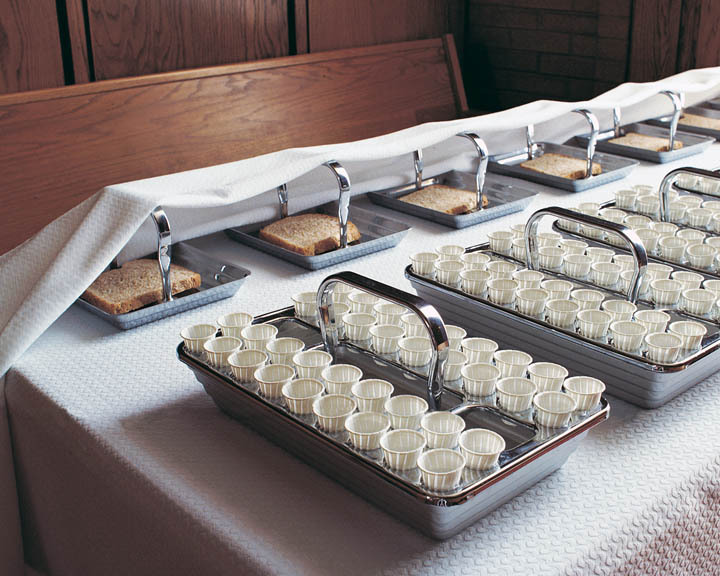 When we partake of the sacrament reverently, we are worshiping Heavenly Father and Jesus."